Philadelphia police have identified the father charged in connection with the shooting death of his 4-year-old daughter in the Kensington section over the weekend. KENSINGTON (WPVI) -- A Philadelphia father who was allegedly playing with a loaded gun is now charged with murder after the firearm went off, shooting his 4-year-old daughter in the head. Maurice Phillips, 30, is charged with third-degree murder and related offenses. Investigators have said that Phillips confessed to his role in the death of the girl, identified as Tahirah Phillips. Neighbors held a rally for the 4-year-old on Monday night. 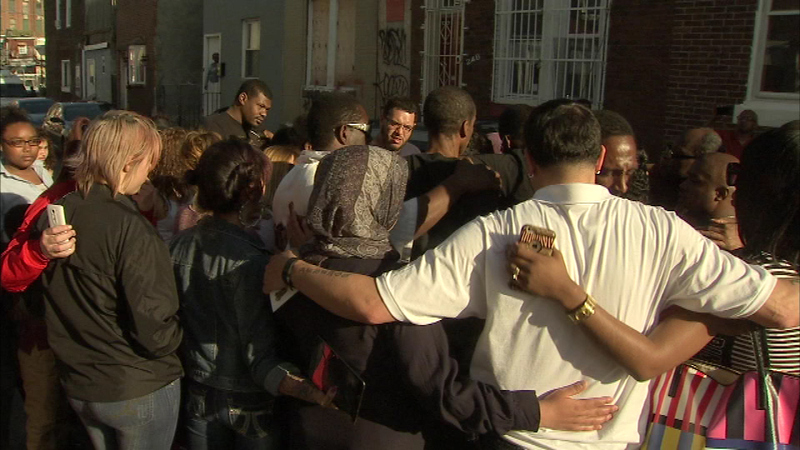 Neighbors hold a vigil for a 4-year-old girl who was shot and killed by her father while he allegedly played with a gun. The incident happened at 2:25 p.m. Saturday in the 200 block of East Mayfield Street in the Kensington section. Police say Tahirah was in a bedroom with her six siblings, ranging in age from 13 to 7 months old, when Phillips - who is the father of five of the children - came into the room. He took out the gun and started playing with it and waving it around, according to investigators, and the gun went off. The bullet hit Tahirah in the head, killing her instantly. "It was a stupid, idiotic act. He was completely reckless in doing this and, unfortunately, a 4-year-old lost her life," said Capt. James Clark of the Homicide Unit. A detective who worked on the case told Action News that Phillips admitted he frequently played with the handgun that way, and with children in the room. After the shooting, police say Phillips got off the bed and hit one of the children, a five-year-old, in the face with a closed fist and wiped blood from his hand onto her shirt, in an apparent effort to make it look as if the child was responsible. Phillips hit the child, police say, to make it look as if she had been punished. He then carried Tahirah to a bedroom and called his common law wife, telling her to come home. When she arrived, Phillips changed his clothes and fled but, police say, he later turned himself in to police. After denying responsibility, police say he later told investigators what happened. 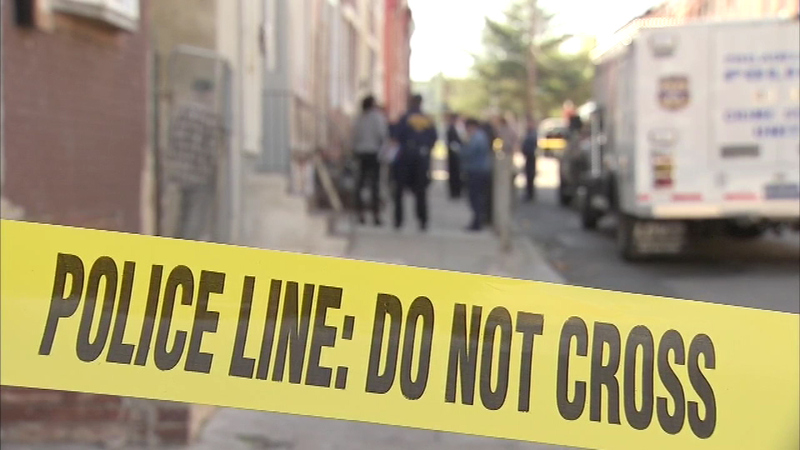 A 4-year-old girl was shot and killed inside a home in Philadelphia's Kensington section. A small memorial grew outside the home after the shooting. One neighbor, Rachel Santana, said she comforted the mother moments after the child was killed. "She was basically in shock," said Santana. "She kept saying, 'My baby, my baby,' and 'Oh my God, how'd that happen? I don't understand. My baby.' "
Santana says she's friends with the mom, but doesn't know much about the dad. She says she isn't surprised to hear people in the neighborhood would keep a weapon in their home. "Some people know that it's wrong, but we live in such a bad society, especially here. It's really bad around here," said Santana. "People feel that they need to protect themselves at all costs, and it was just a tragic accident that happened." The neighbors say the mom was very protective of her children, and she would only let them play in the backyard because she was afraid of the crime on the street. "I said why don't you bring the kids out?" said neighbor Louise Sawyer, who tells us the mother's response was, " 'No I'm not bringing these kids out here with all this trouble.' "
"She was a sweet, loving, little girl," said family friend Crystal Dougherty. "She was full of life. She was always willing to help. She was a great big sister to her little brother."